Gather, mine, and craft your way to being the number one workshop. Publisher Team17 and developer Pathea Games has released a new trailer for sandbox simulation RPG My Time at Portia that highlights crafting. 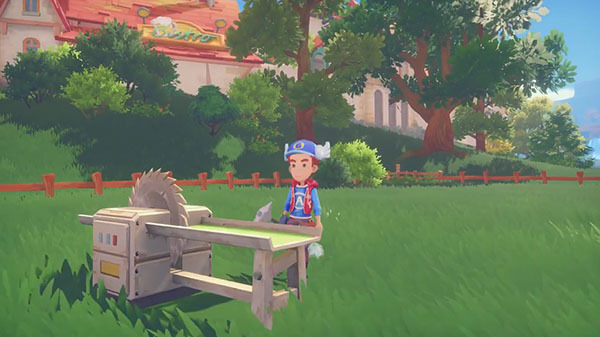 Arriving in the enchanting town of Portia, you’ll be able to start a new life and set to work restoring your Pa’s neglected workshop to its former glory. Armed with your Pa’s workshop handbook and workbench, you must gather, mine, and craft your way to being crowned the number one workshop in the whole of Portia! Inspired by the likes of Animal Crossing, Harvest Moon, Dark Cloud 2, and the magic of Studio Ghibli, My Time at Portia whisks you away to a captivating world of wonder that you won’t forget. How will you spend your time at Portia? My Time at Portia will be released for PlayStation 4, Xbox One, Switch, and PC. It is currently available on Steam Early Access.